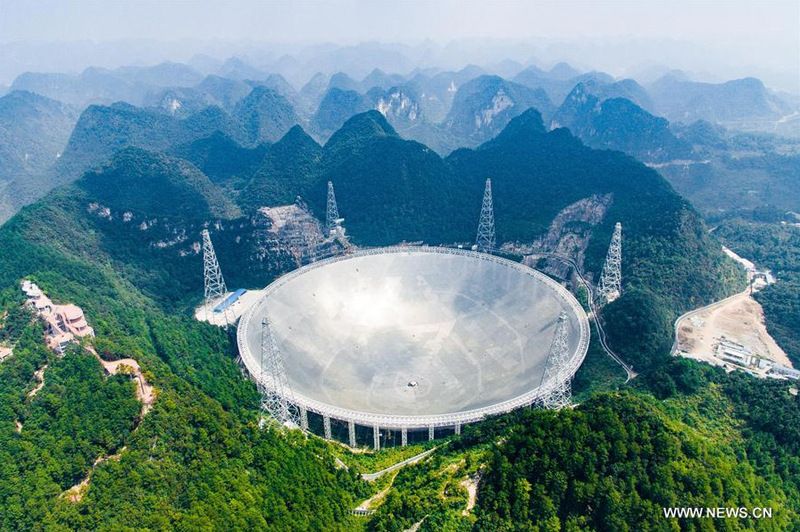 2 Five-hundred-meter Aperture Spherical Telescope (FAST), nicknamed Tianyan (Eye of Heaven) is the world’s largest radio telescope, measuring 500 meters in diameter. 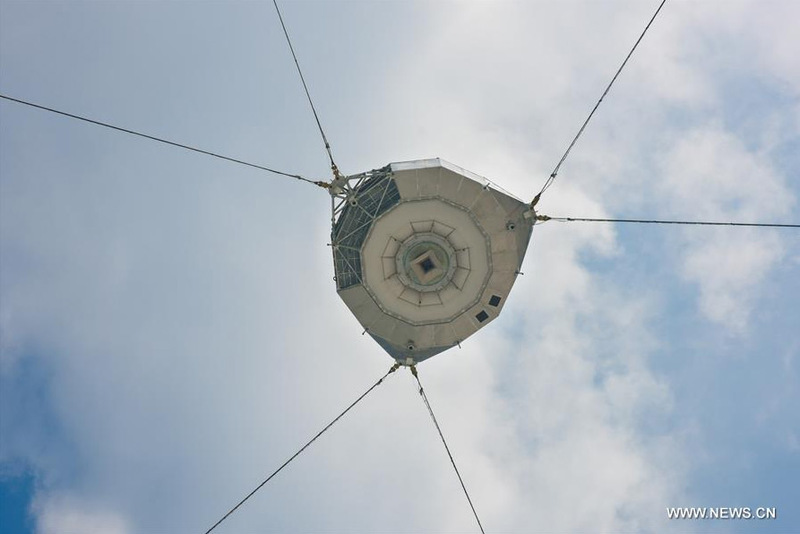 FAST was completed and put into use on Sunday. 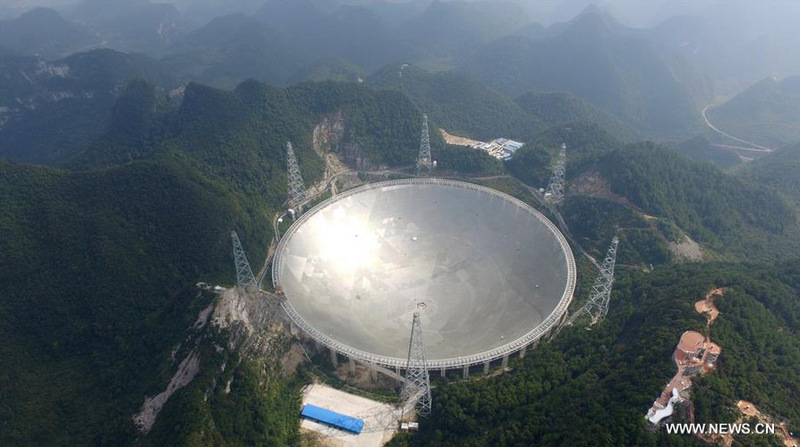 Eye of Heaven, World's Largest Radio Telescope is the world's largest radio telescope. 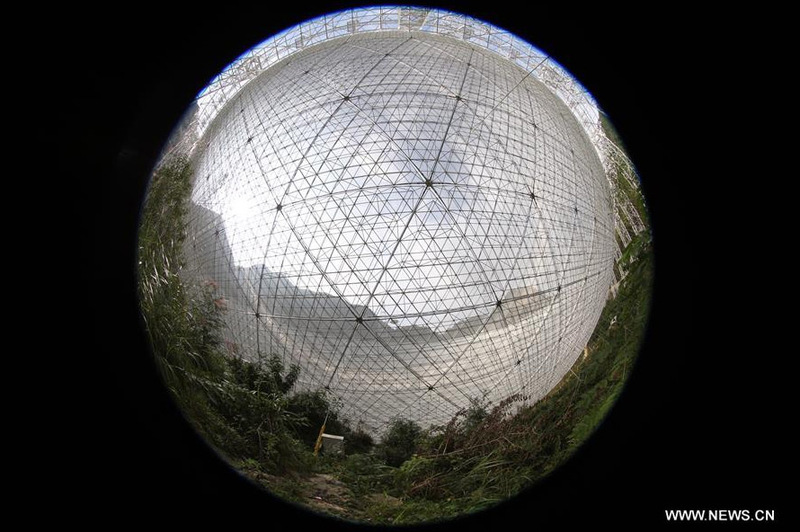 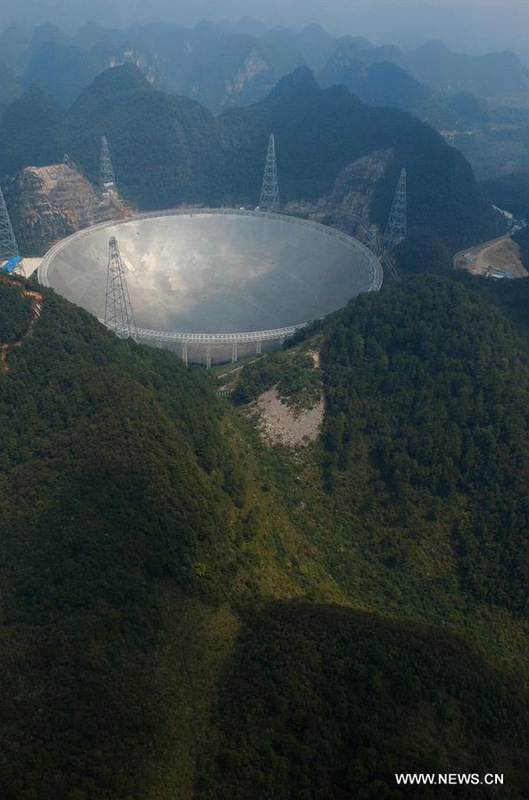 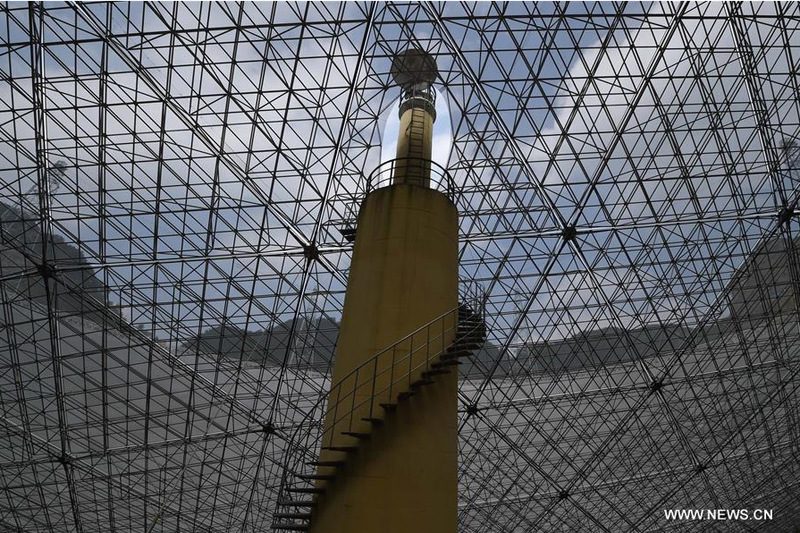 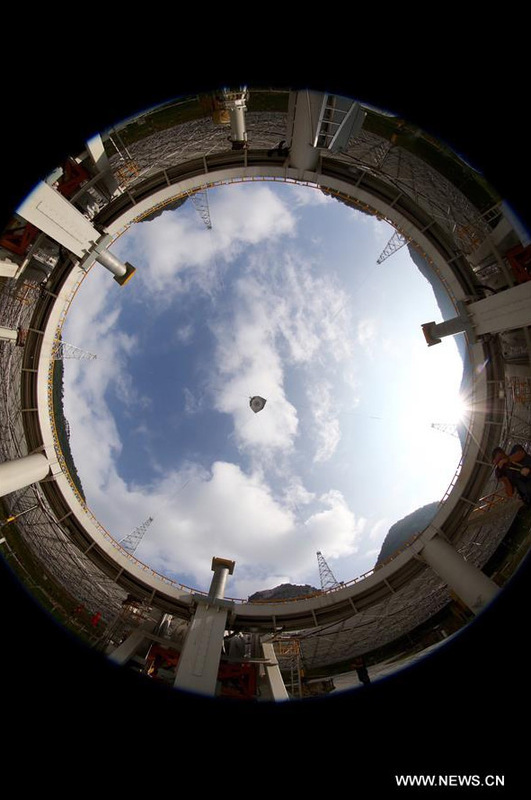 Five-hundred-meter Aperture Spherical Telescope (FAST), nicknamed Tianyan (Eye of Heaven) is the world’s largest radio telescope, measuring 500 meters in diameter. 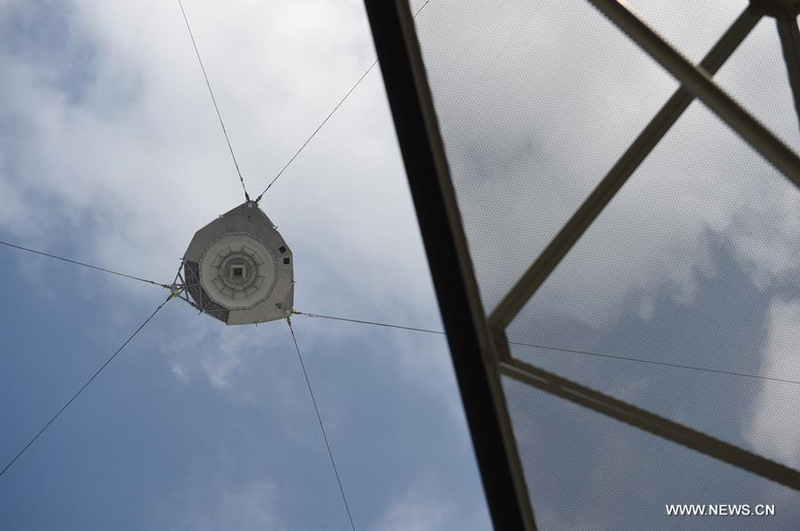 FAST was completed and put into use on Sunday. 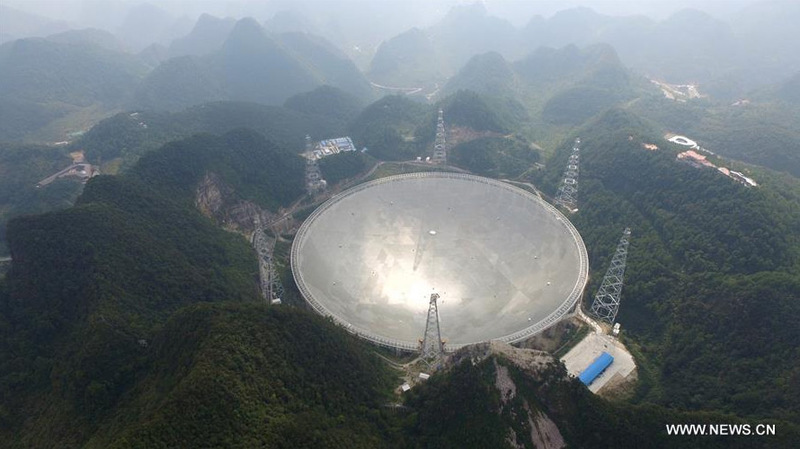 The telescope, in a karst valley is designed to explore space and hunt for extraterrestrial life. 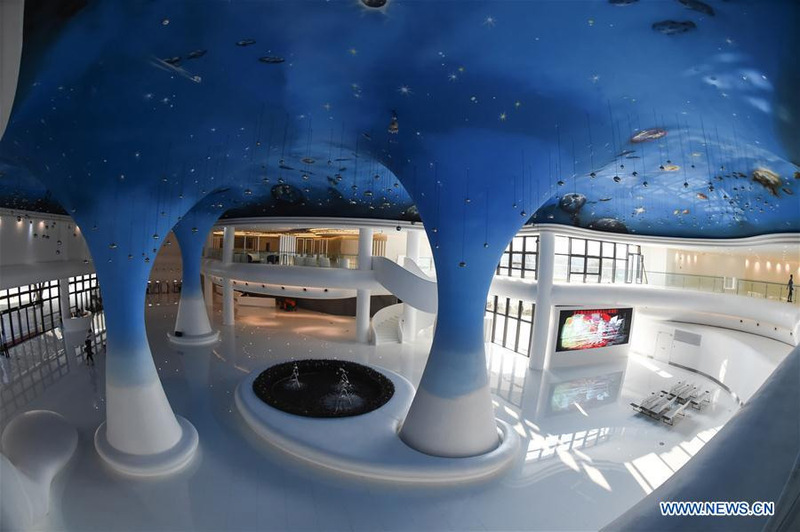 The investment on the project, started in 2011, was of nearly 1.2 billion RMB (180 million U.S. dollars). 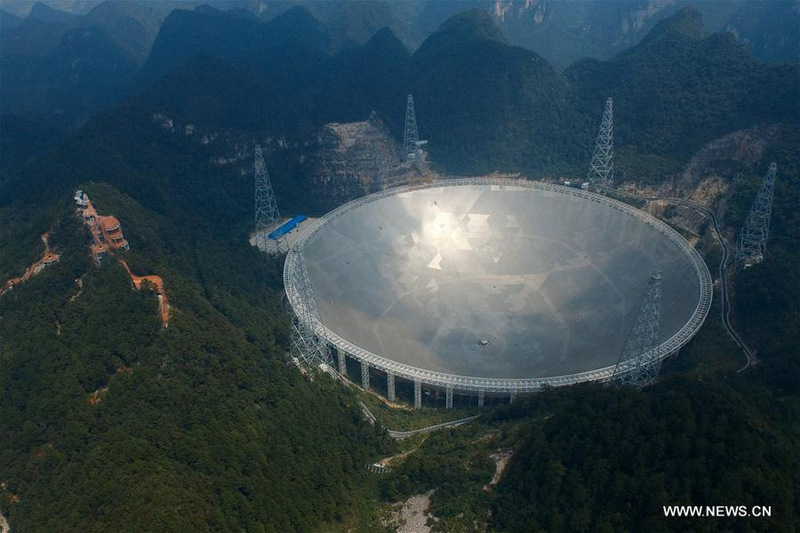 FAST was proposed by Chinese astronomers in 1994. 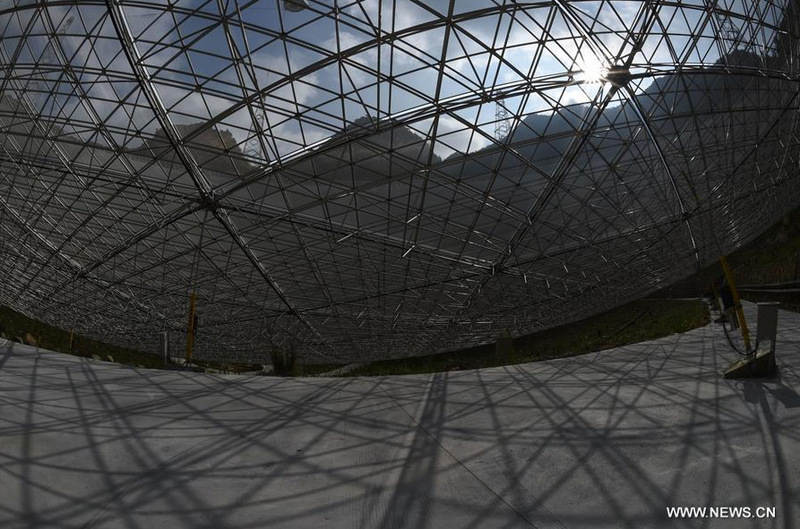 The main structure, composed by 4450 panel reflector and large as 30 football pitches, was completed in early July. 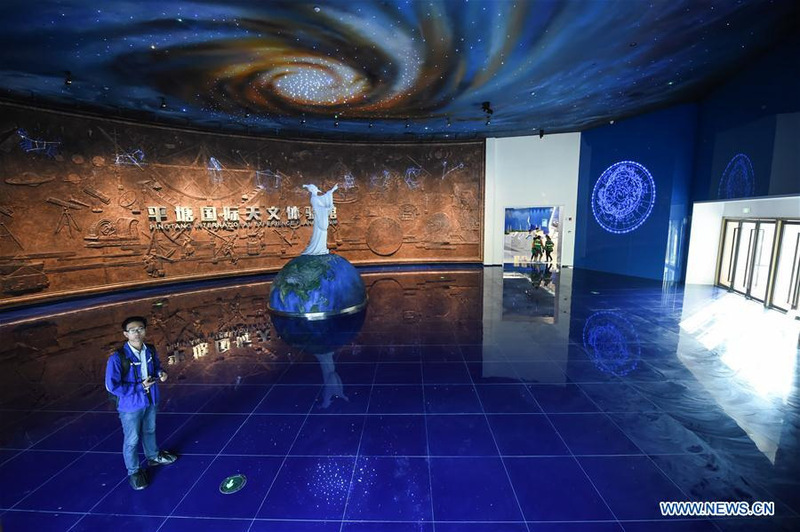 Joseph Taylor, a Nobel Prize-winning astronomer at Princeton University, told Xinhua: “FAST will certainly generate enthusiasm, bring people into science, and make China important in the world of science”. 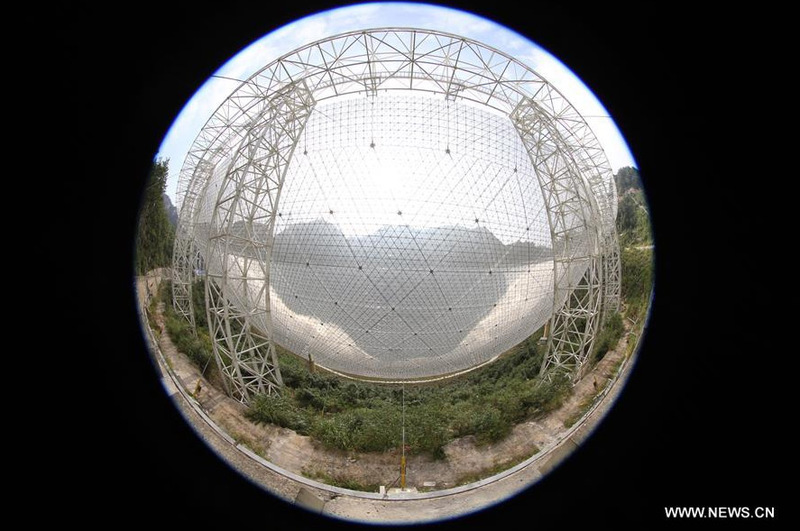 FAST’s tasks include observation of pulsars as well as exploration of interstellar molecules and interstellar communication signals. 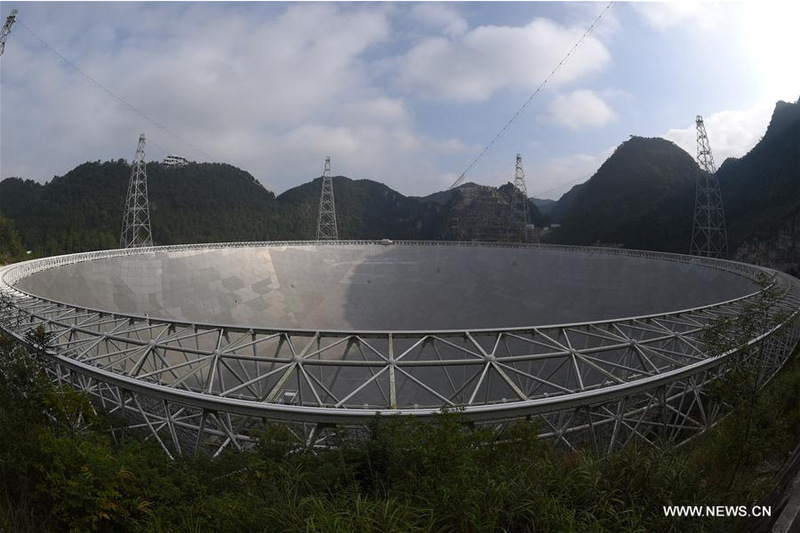 Sun Caihong, deputy chief technologist said the telescope is expected to discover twice the number of pulsars currently known. 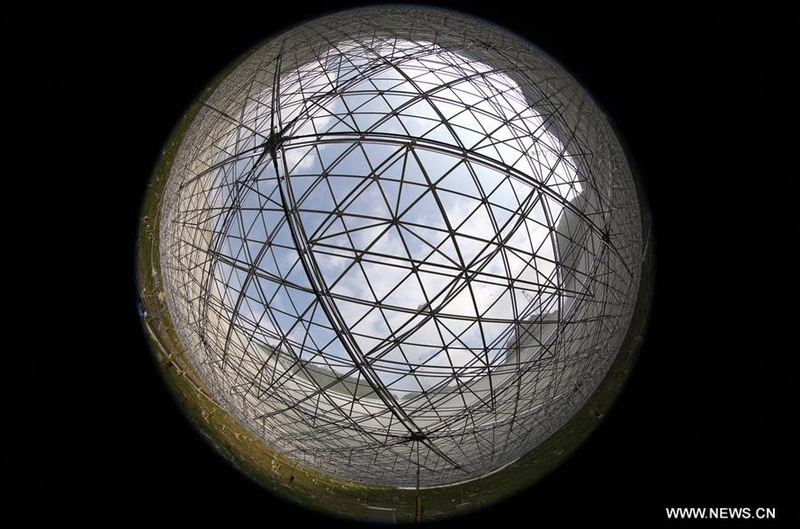 Pulsars are dense, rotating stars that act as cosmic clocks, emitting pulses with remarkable regularity. 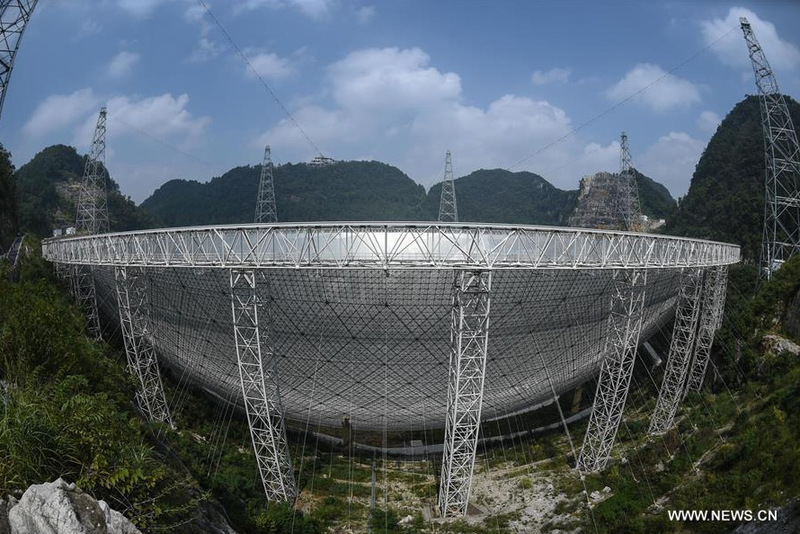 According to Douglas Vakoch, president of the American research institute METI (Messaging Extraterrestrial Intelligence) International, FAST will lead to a dramatic increase in the number of new discoveries. 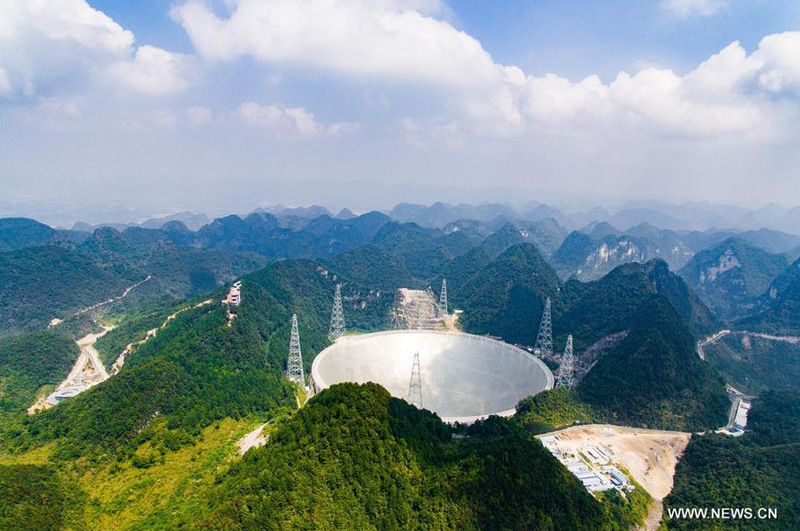 He told Xinhua:”By opening FAST to use by the broader international community, China is demonstrating its commitment to fostering astronomy as a global scientific enterprise, discoveries beyond our wildest imagination. 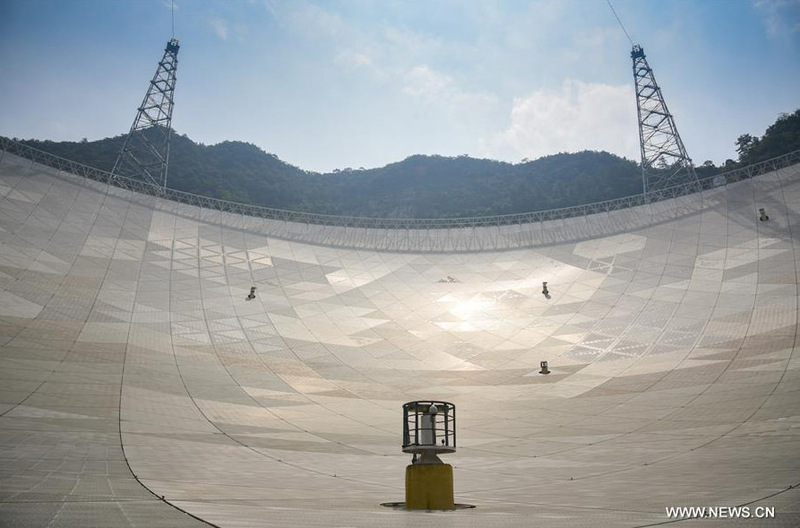 For over a half century, astronomers have been using radio telescopes to answer the haunting question, ‘Are we alone?’ But astronomers face a daunting challenge: the signals they seek are so weak that an incredibly sensitive telescope is needed to detect them, FAST’s innovative design and huge collecting area give it unsurpassed speed and sensitivity, making it vital to the search for extraterrestrial intelligence in the coming decades, We can expect China to become a world leader in the search for extraterrestrial intelligence because of its demonstrated commitment in building FAST. 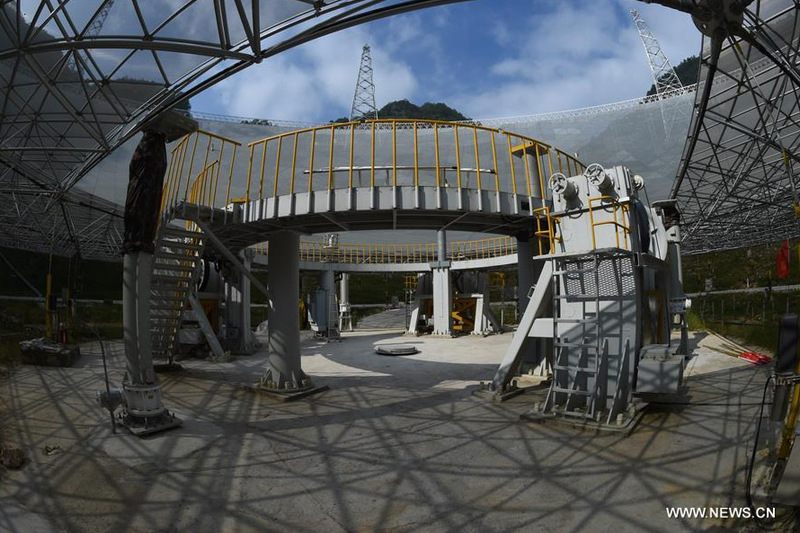 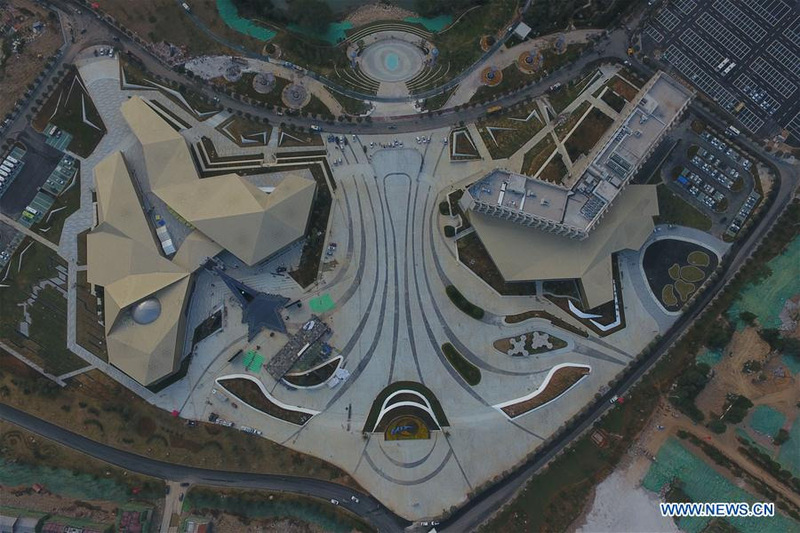 The new Pingtang radio telescope cultural park, located 5 km far from the FAST in Pingtang, Guizhou, is almost completed. 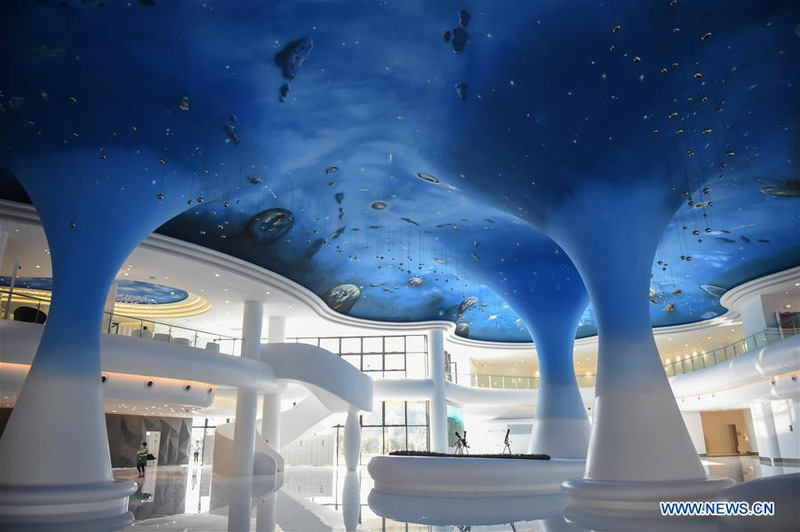 The new facility includes planetarium, visitor center and tourist projects.